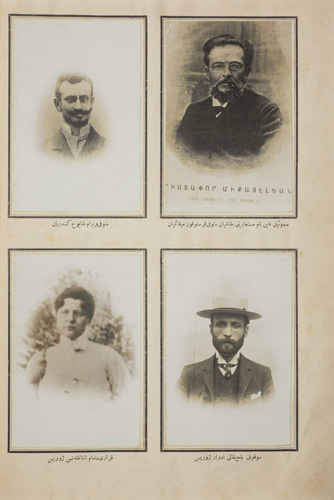 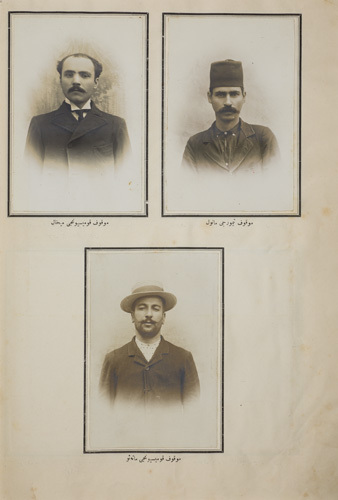 In an attack by the Armenian Revolutionary Federation on Abdülhamid II in front of the Yıldız Hamidiye Mosque on 21 July 1905, twenty-six people were killed by the explosion of a bomb hidden in a carriage. 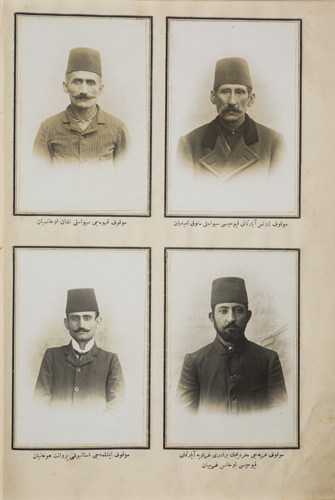 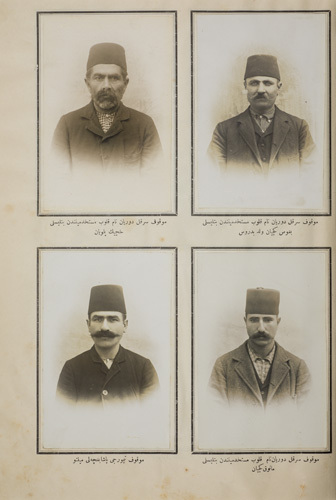 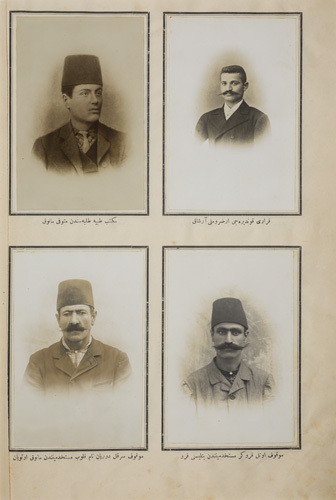 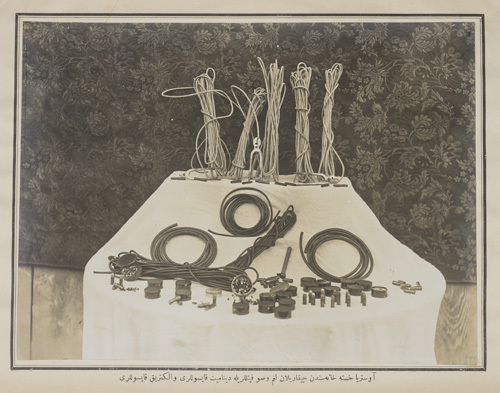 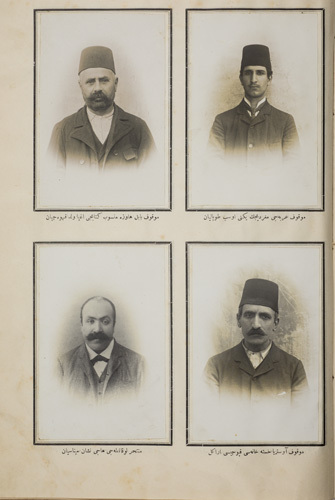 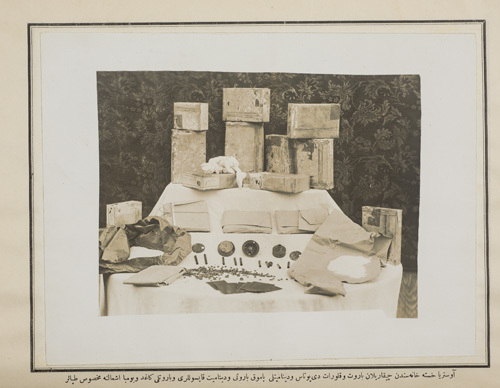 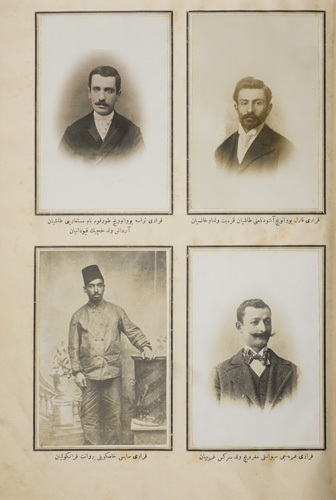 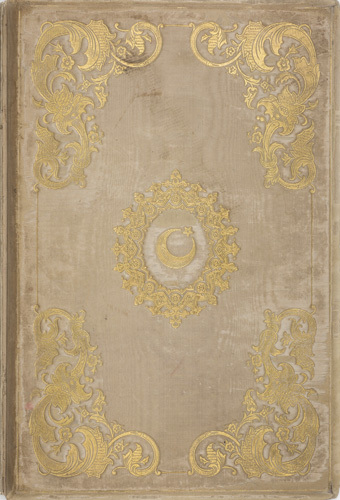 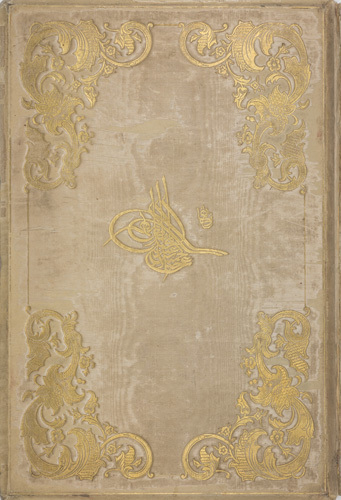 This album is a report on the event and documents the explosives found in the cellars, wells, and cisterns of several buildings in Pera. 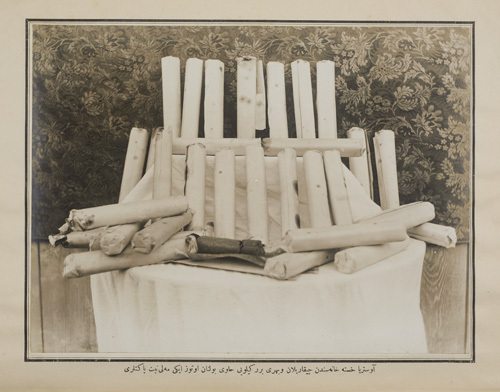 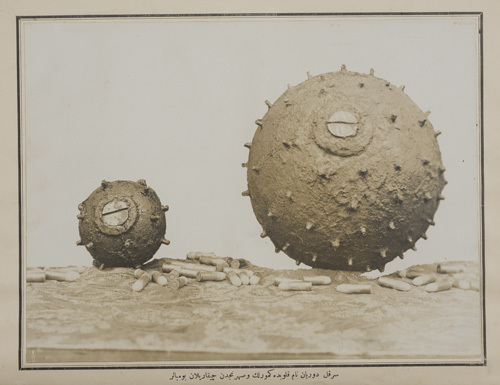 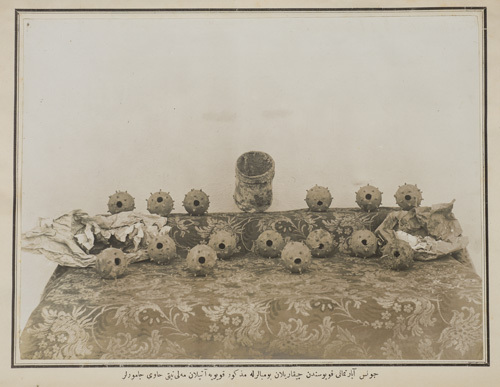 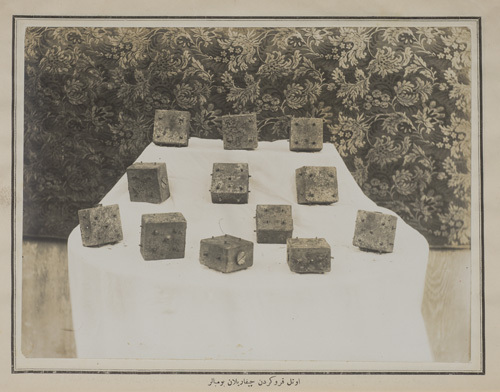 Photographs of the unexploded bombs arranged in artistic compositions are accompanied by portraits of the individuals involved in the incident. 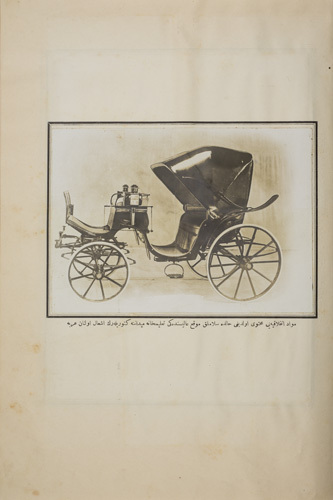 The carriage is also shown.